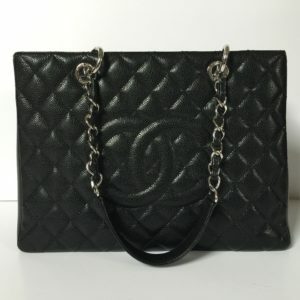 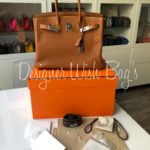 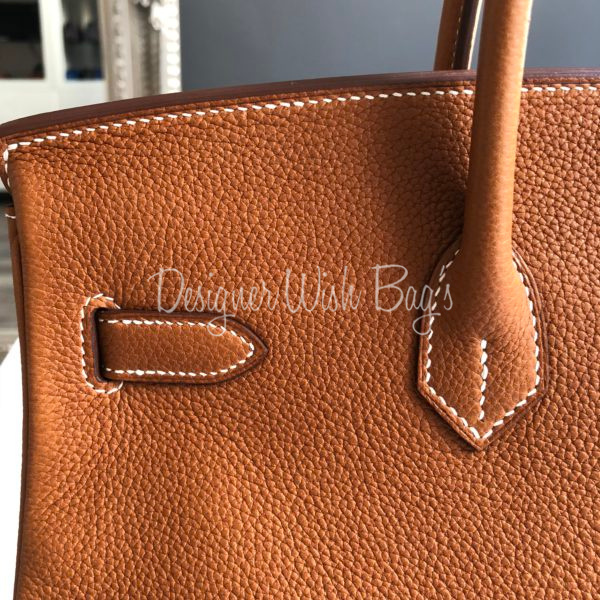 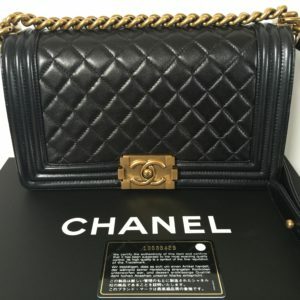 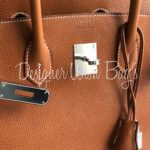 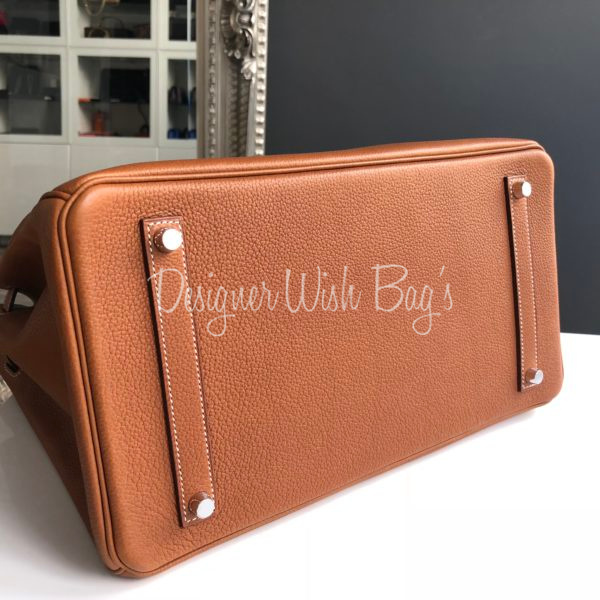 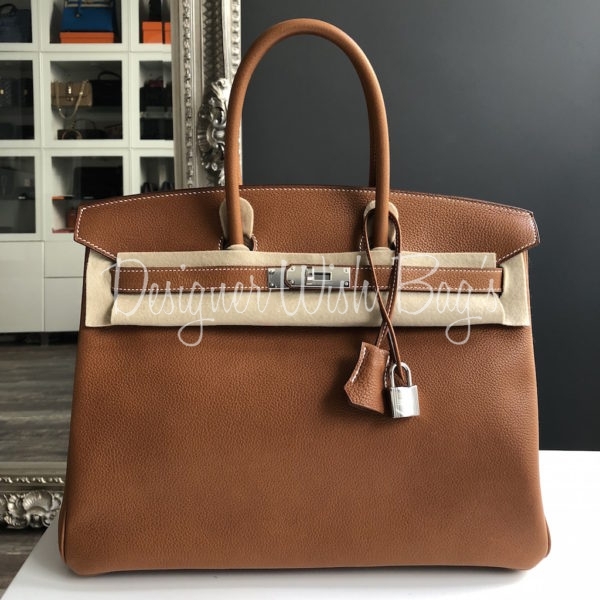 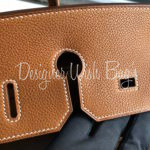 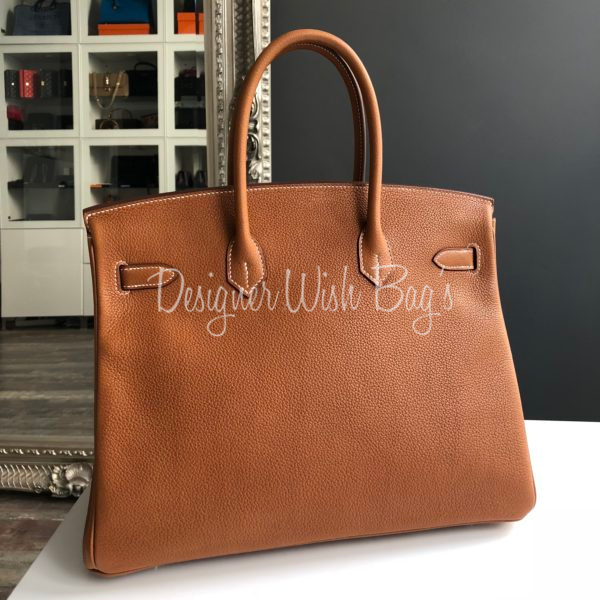 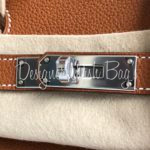 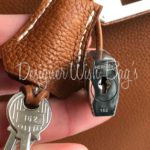 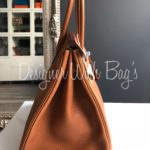 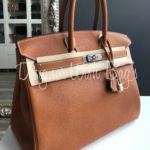 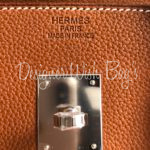 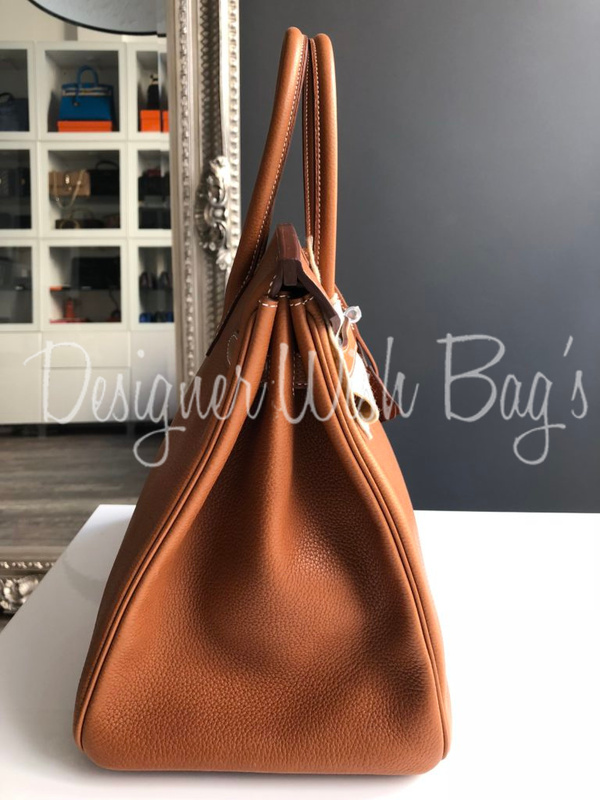 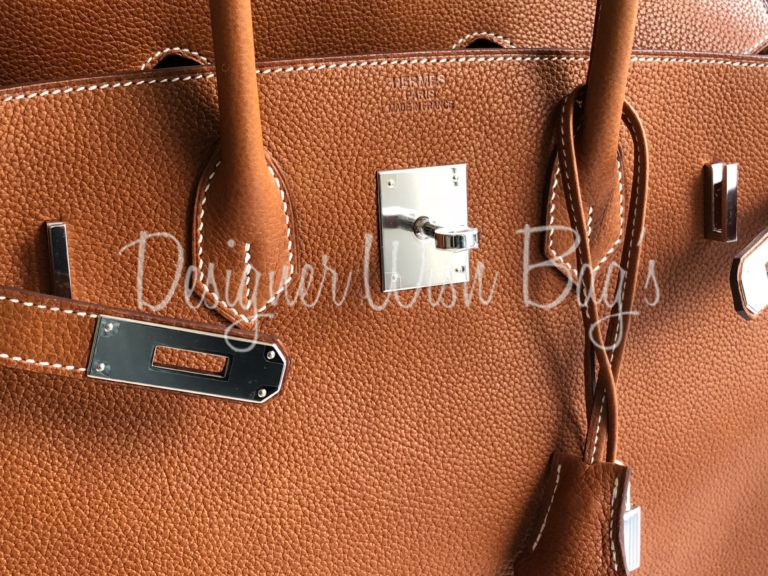 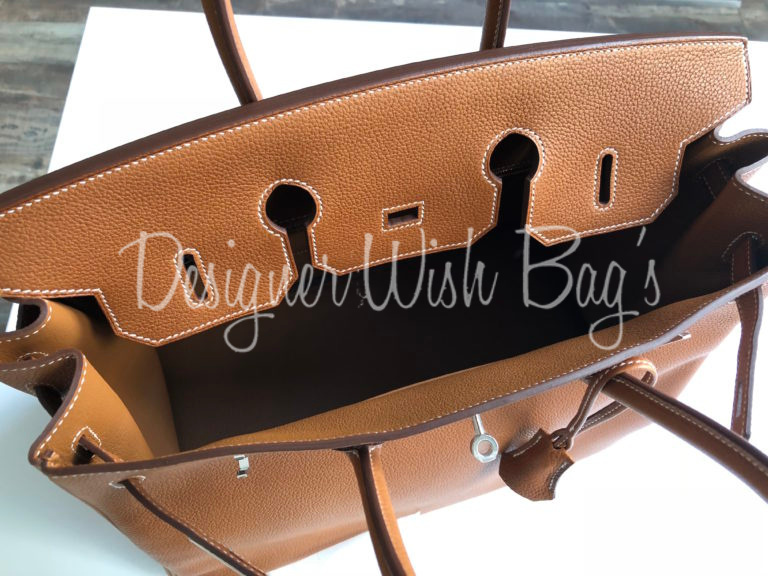 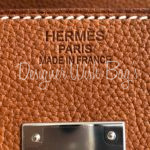 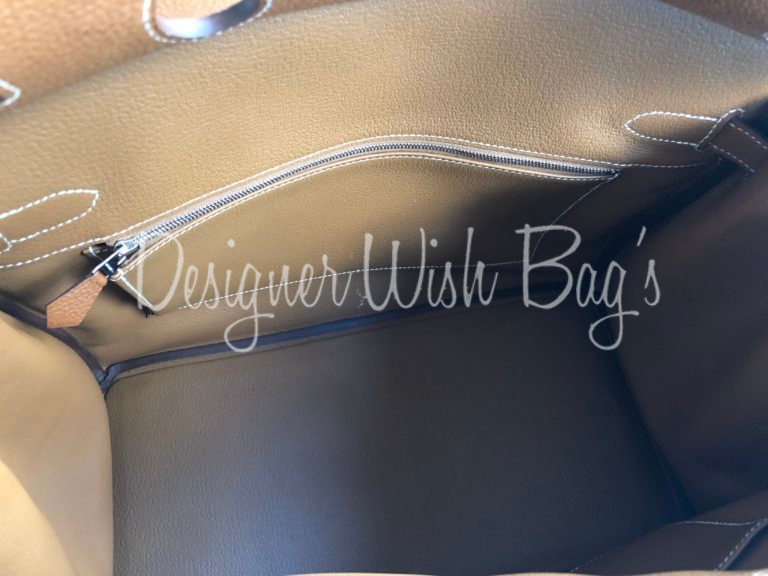 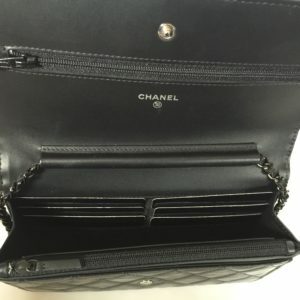 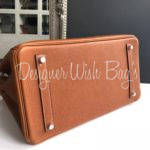 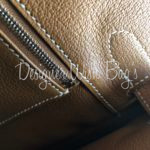 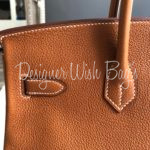 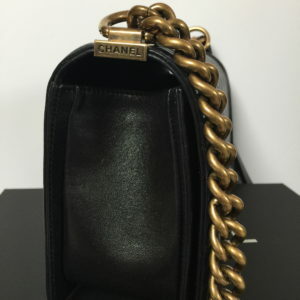 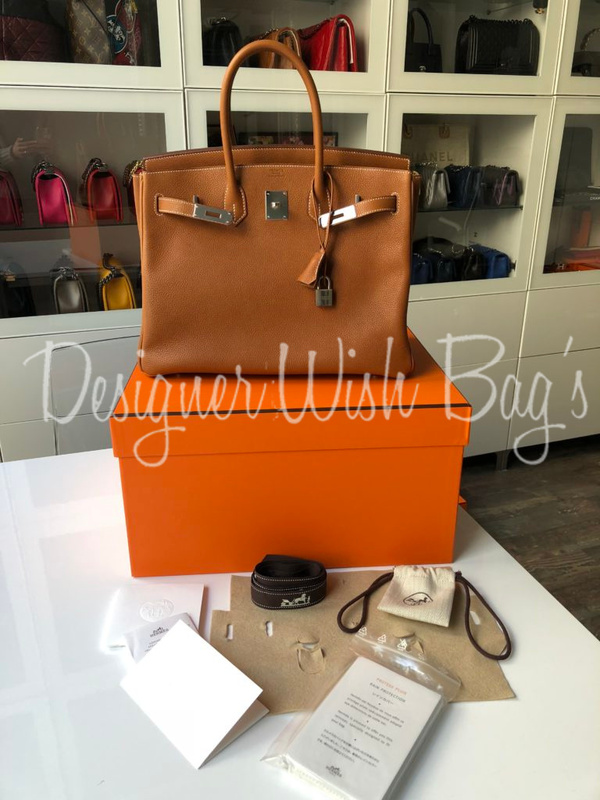 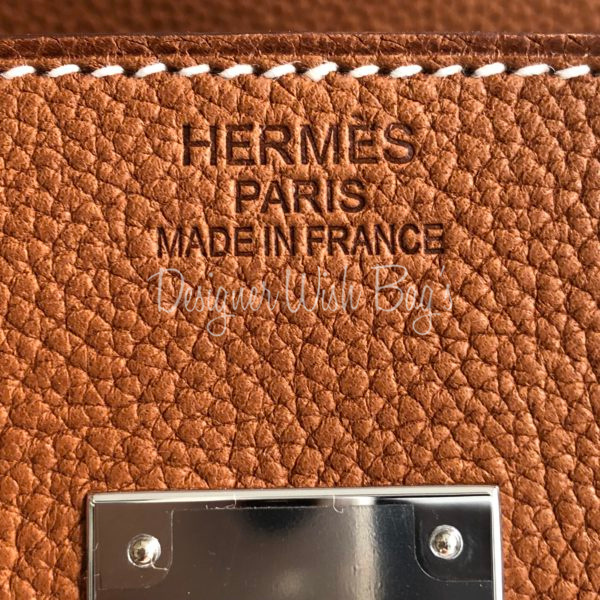 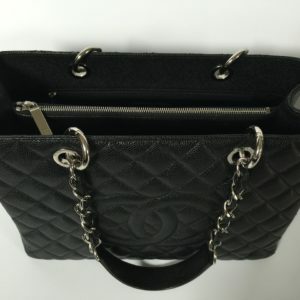 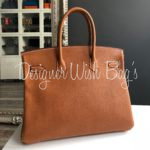 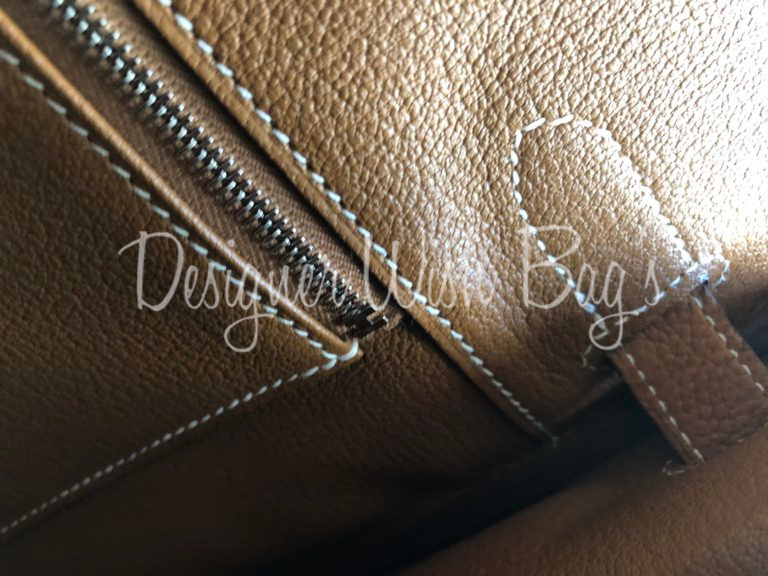 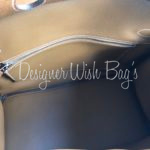 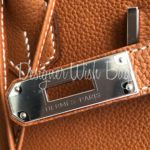 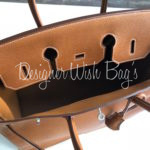 Very Rare Hermès Birkin 35 Barenia Faubourg leather. 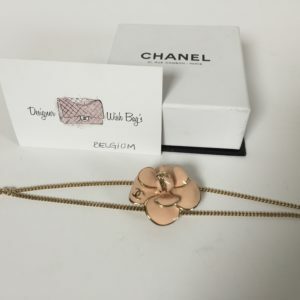 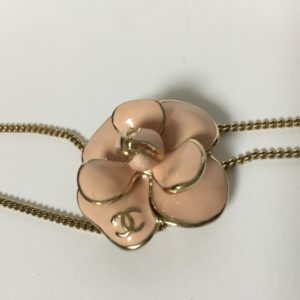 The colour is Fauve, very similar to the Gold colour. 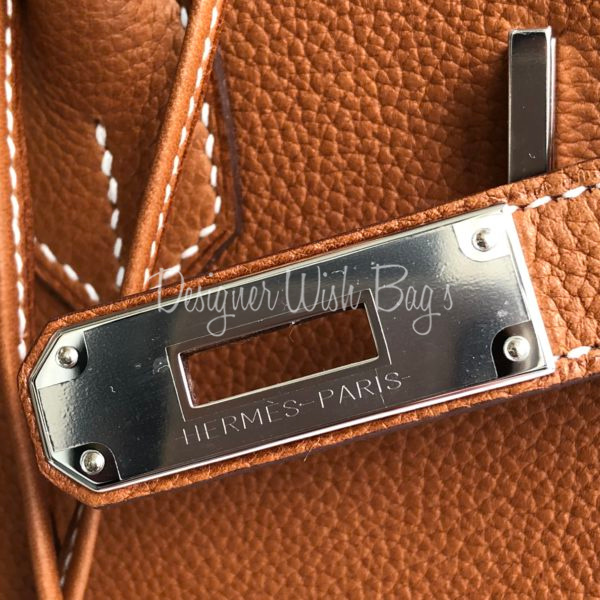 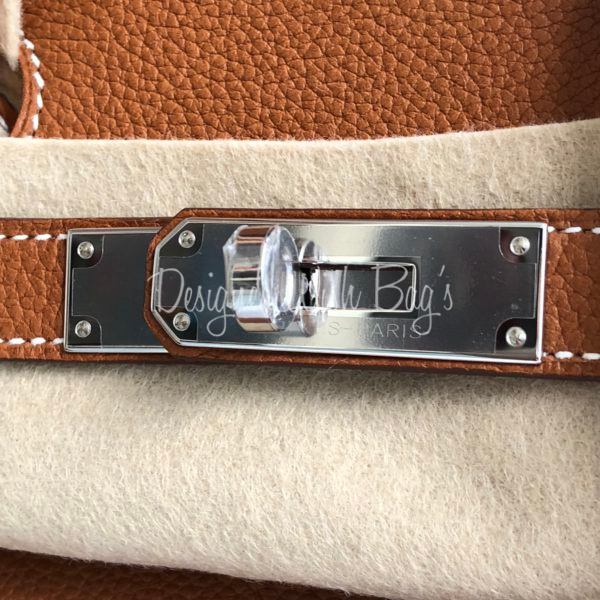 Barenia is a rare, high-quality calf leather that’s been used by Hermès’ equestrian division for a long time. 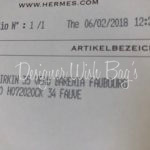 Barenia is special for two main reasons. 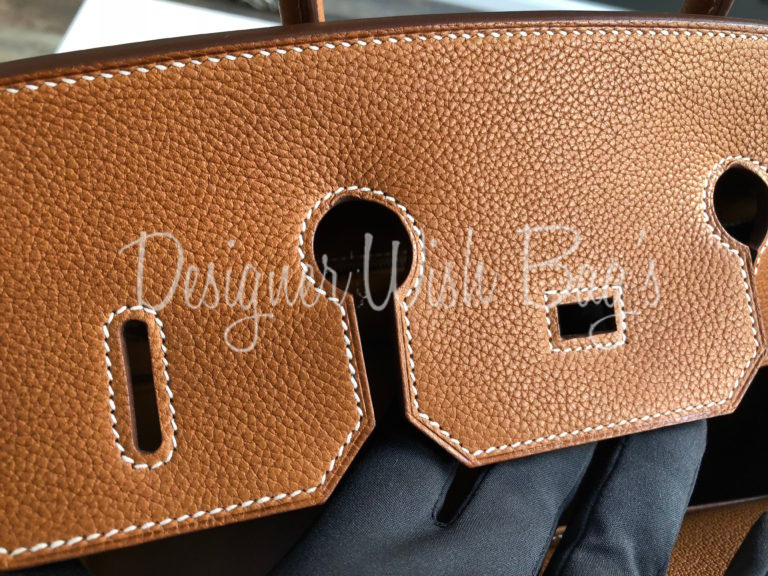 It’s one of Hermès’ original saddle leathers, and it requires a specific tanning process, which is know by only a small number of craftsmen. 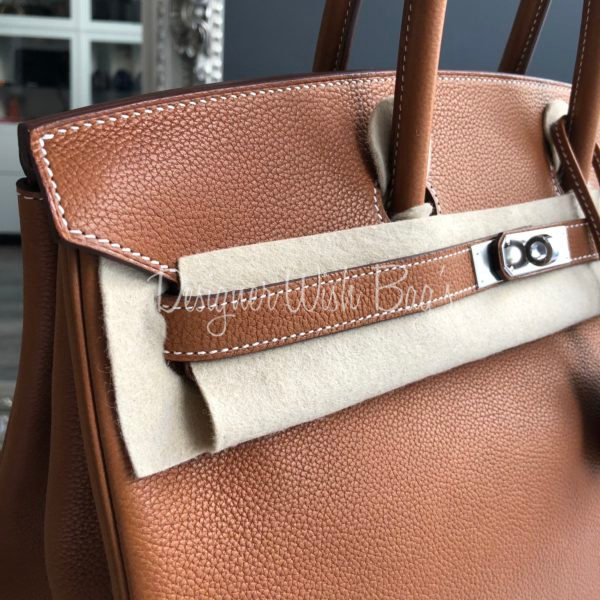 Barenia is double-tanned in chrome and vegetable dyes, and then soaked in a mix of 9 different oils over a 5-6 week process. 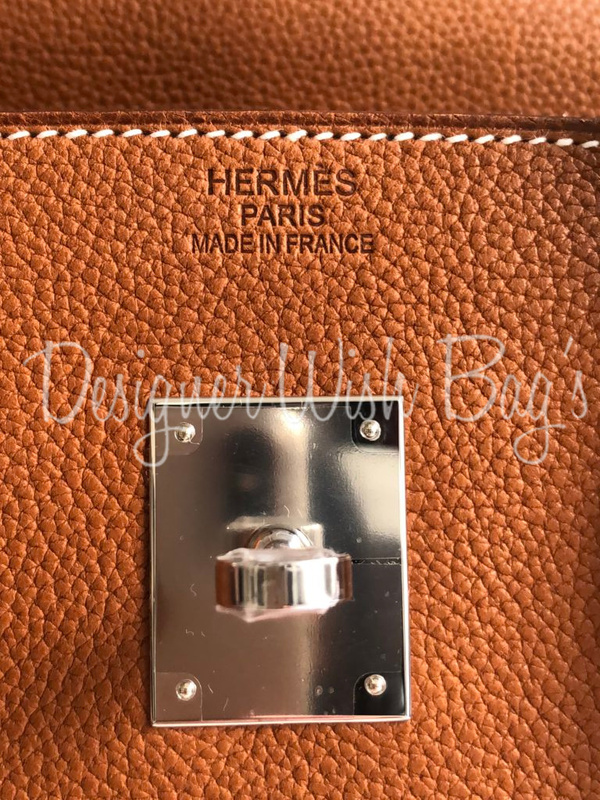 In 2017 Hermès has released a new kind of mildly-grained Barenia: Barenia Faubourg. 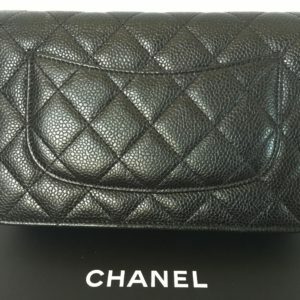 Feels and smells like Barenia, but looks a bit more like Togo or Clemence, more scratch-resistant. 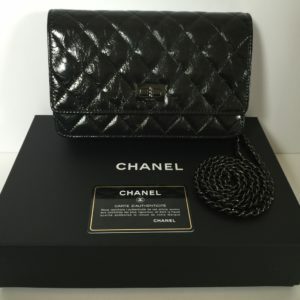 Brand New – Store Fresh! 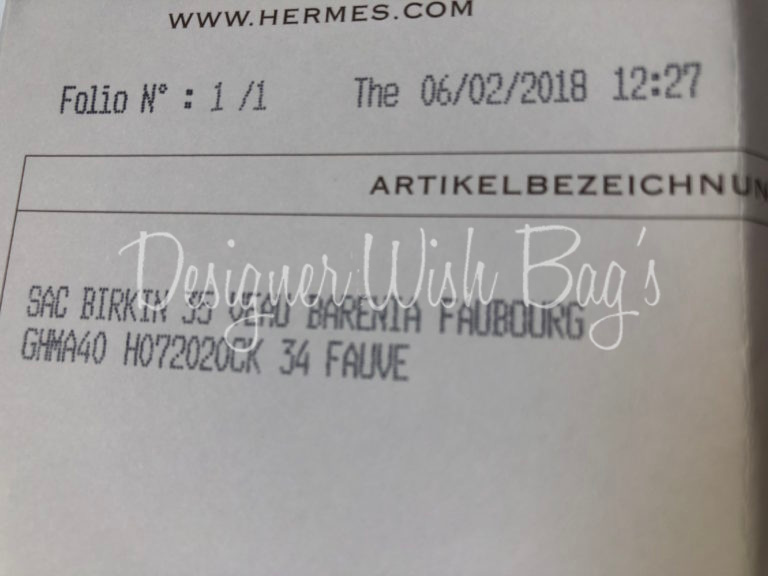 Original Hermès Receipt from 02/2018.